Android, Penguin and Life: Chromecast, or Not to Chromecast? 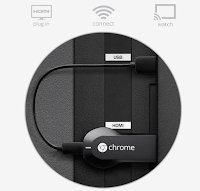 Chromecast, or Not to Chromecast? That is the... er, let's call it... a question. For a very affordable $35, you can get your hands on Google's entry into the 'tiny-pc-for-your-tv' market, the Google Chromecast. You may be asking yourself where this stands versus GoogleTV, this is smaller. For those that have not heard of it yet, it is a USB stick sized unit that plugs into the HDMI input on your tv, is powered by usb (from your tv, or the supplied power unit) and let's you play online, and some offline, content on your television. The primary use-case would be to fire a YouTube video from your Android Tablet up to your TV so you can continue to surf on your tablet. Sounds magical so far, but is it? Depending on your needs and expectations, yes, it is magic. If, however, you just wanted to play content you already own, maybe not so much. Let me explain. Right on the box it advertises that it can handle YouTube, Netflix, Google Play content (video and music) and pass a tab from your Chrome browser. The first thing you'll notice is that the first three items are streaming services, if your home internet regularly leaves you buffering, don't expect the Chromecast to speed things up. If you are lucky enough to live in a Gigabit world, where buffering is not an issue, you will love the Chromecast for these services. Luckily, audio is a little easier to tackle, so popping your music to the tv, via Google Play Music, is a snap. The ability to cast a tab from your Chrome browser is a mixed blessing. I have never seen an easier way of setting up for a business presentation, especially if your visuals are in Google Docs, or to share photos with friends and family. Setting up the Chromecast is super easy, and connecting to it is only two clicks away. That's magic. You may also be familiar with the fact that you can load most local content into the Chrome browser, video included - yahoo! (not a reference to the company) this means I can watch my saved movies on the tv!!! That is what the advertisements want to get across. Actually casting a Chrome Tab to the Chromecast is a slightly different beast. I do not have the math, but let me just say that you will need what feels like double the network speed that it would take to load your browser page. And double the computing power too, as your machine must play the content locally, then pass that stream over to the Chromecast. I have much content in the Cloud on various services, as an example, I can play video from Pogoplug in the browser, this is great, and I can pass that browser tab tot he Chromecast, perfect... But, it feels like my computer is processing the video twice (which it can barely handle), all while the video has to stream from the cloud to my computer, then pass that video over the same network to the Chromecast (which again, my computer and router can barely handle,) resulting in choppy playback and frequent buffering. Bottom line, I think the average person is going to be underwhelmed by the outcome. This is where I love how they handled YouTube, Netflix, (Hulu+ now too) and Play Store content. Instead of trying to duplicate everything, it simply passes authentication to Chromecast, so it only has to download once. This is great. Have you heard about www.youtube.com/tv yet? 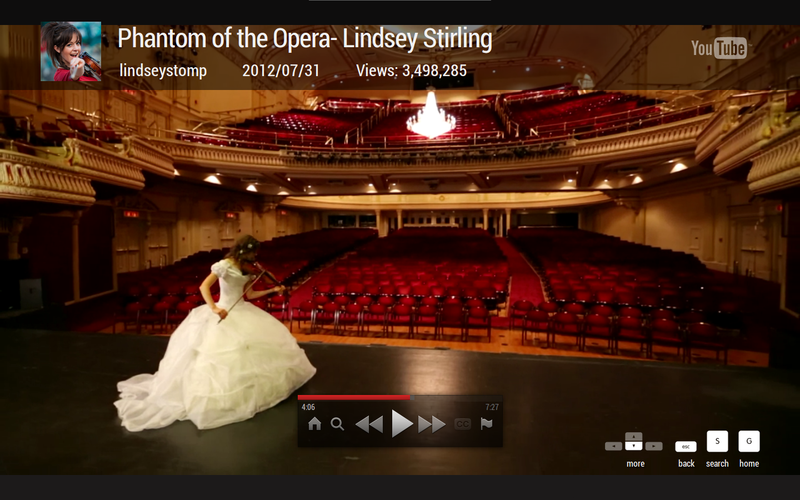 Paired with an Android device, youtube.com/tv is a little piece of entertainment greatness. Paired with multiple Android devices, and a few friends, well, this has already changed the dynamics in my office. Multiple users can pair with one device, be that a computer or Internet connected TV, and share the task of controlling and adding to a shared queue of YouTube videos. The same functionality as the Chromecast. There is much more to know about this unit, and more services coming on line as we go, comment below if you'd like to know more? Otherwise, happy casting.